More family heirlooms arrived in the mail yesterday! Look at all that stitchery! 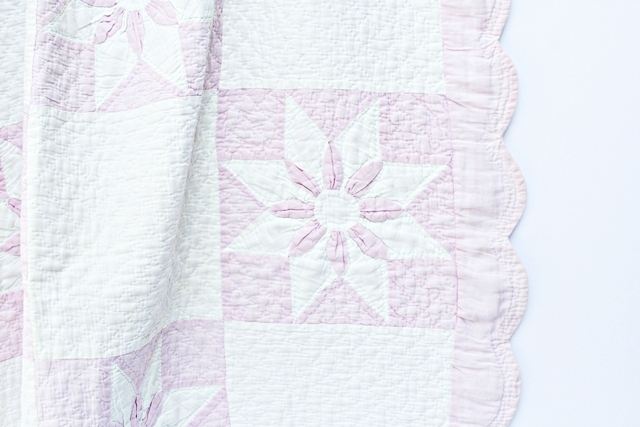 The second quilt is believed to have been sewn by Mable’s mother Martha Jane Brewer, who was born in Greenwood, Indiana in 1846. Martha married Albert Edwards in the 1865 and the day after their wedding they set out in covered wagon for Iowa. Imagine that for your honeymoon! Martha was a trooper though. Her and Albert set up a life for themselves in Iowa on a farm, she had 11 babies and lived to be 82. Here’s a picture of the Martha and Albert and all their kids, grand-kids and great grand-kids. This photograph was taken in August 1915 when Martha & Albert were celebrating their 50th wedding anniversary. Martha and Albert are seated in the center of the group. 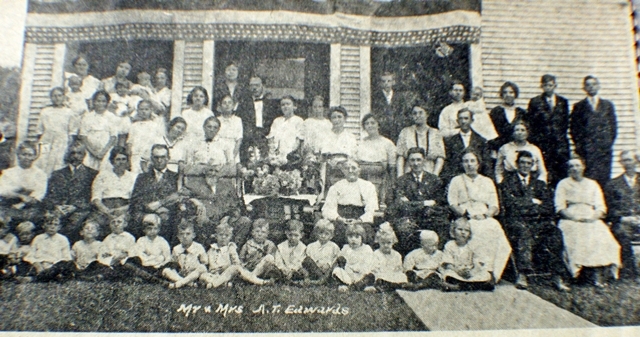 Portrait of the Edwards Family of Vinton, Iowa. Taken on August 24th, 1915. Ms. Jeannie couldn’t find any similar versions of a double churn dash style like the one Martha used, so perhaps this is a bit unusual. 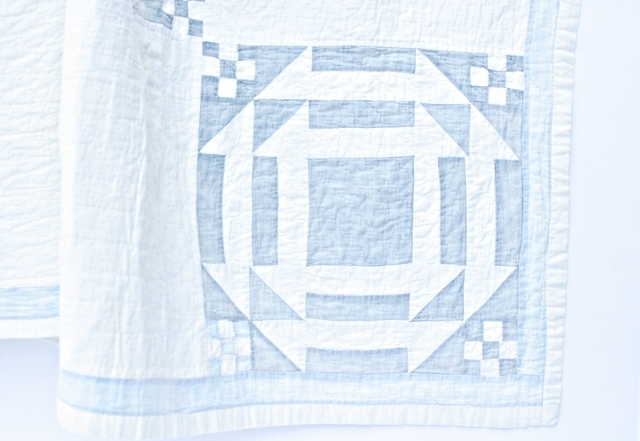 The blue and white color combo was the most popular color combination used in quilts because it matched almost everything. Martha’s quilt as you can see is faded in some spots, but otherwise it is in great condition. It is large enough to cover a contemporary standard queen size bed. According to research there are over 21 different variations of the churn dash style. It also is known as the Monkey Wrench and the Hole in the Barn Door (fun name!). Ms. Jeannie is impressed with all the tiny squares and the thousands of stiches that make up just one square. She wonders how long it took Martha to make this. The churn dash pattern originated between 1800 and 1849 and represents the pioneer woman’s lifestyle which was centered around home and hearth. Certainly Martha churned a few pats of butter in her day – both literally from farm fresh milk and figuratively from her needle and thread. Ms. Jeannie is still trying to date the quilt to a specific decade. It could have been made as early at the 1860’s for use just after her wedding as she & Albert traveled West. Or it could have been made as late as the 1920’s when Martha’s children were grown and she had more time to devote to needlework. 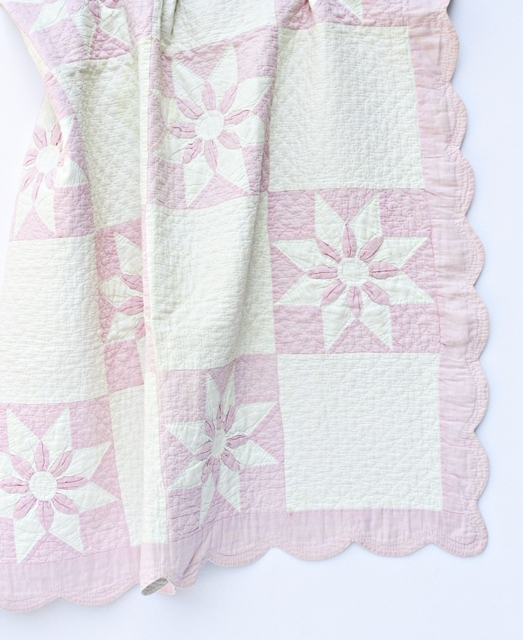 Ms. Jeannie found this really pretty contemporary version of a churn dash quilt on Etsy. She loves the colors and that they spelled out churn dash on the fabric. Very fun! Here’s another view of it hanging on a wall. Love the off-center layout! But she doesn’t own a sewing machine and would like the challenge (she thinks!) 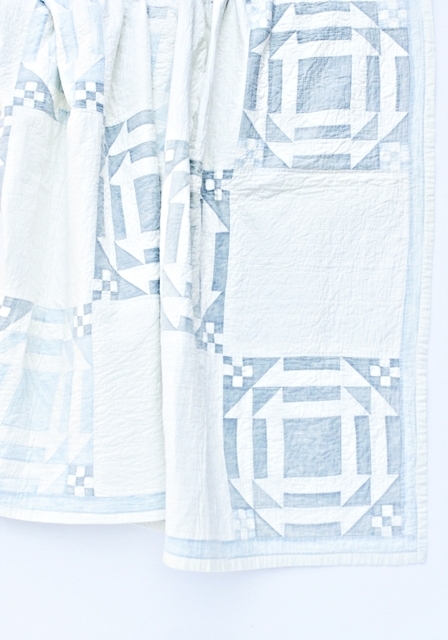 of making a quilt by hand. Perhaps she’ll undertake this project in the Fall. Maybe Mable and Martha will send her some inspiration! Ms. Jeannie couldn’t imagine shaping all those patches into a recognizable bear shape! The patches just give him so much personality! 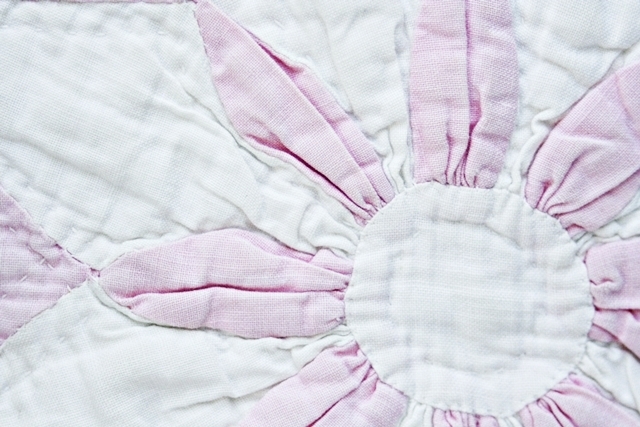 Maybe once Ms. Jeannie tackles the flat panels of a quilt, she can work on something more complicated like this charmer for a fun baby gift! 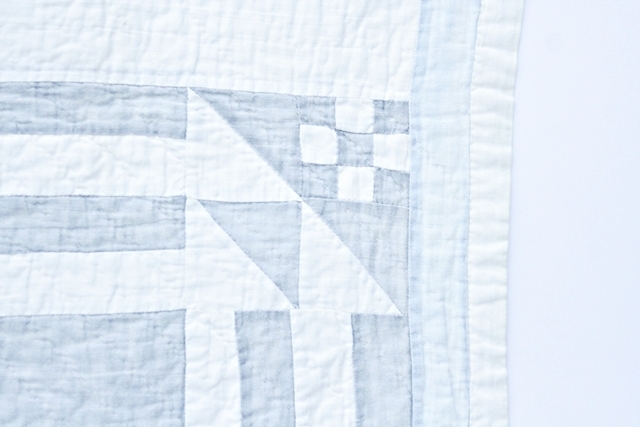 We’ll see how the quilt goes first…keep posted! Next Interview with an Etsy Art Buyer: What’s She Searching For?